Looking for something to do that will get you into the holiday spirit? Look no further! KPAC is hosting its annual Christmas event December 1st. This event is full of talented dancers, amazing musicians, and offers a silent auction with items that are worthy of someone on Santa’s good list! 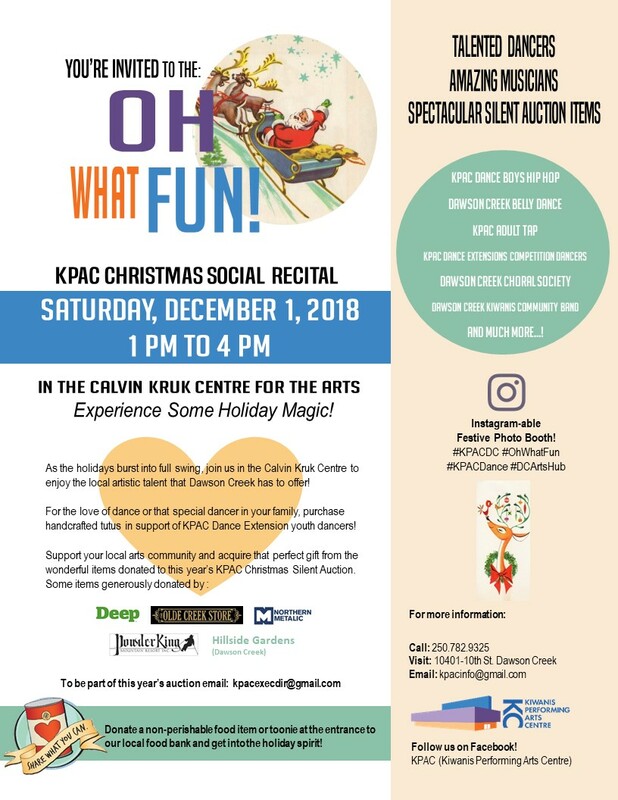 As the holidays burst into full swing, join us in the Calvin Kruk Centre to enjoy the local artistic talent that Dawson Creek has to offer and support the local performing arts community. Go that extra mile and bring a non-perishable food item or donate a toonie towards our local food bank and truly get into the holiday giving spirit!